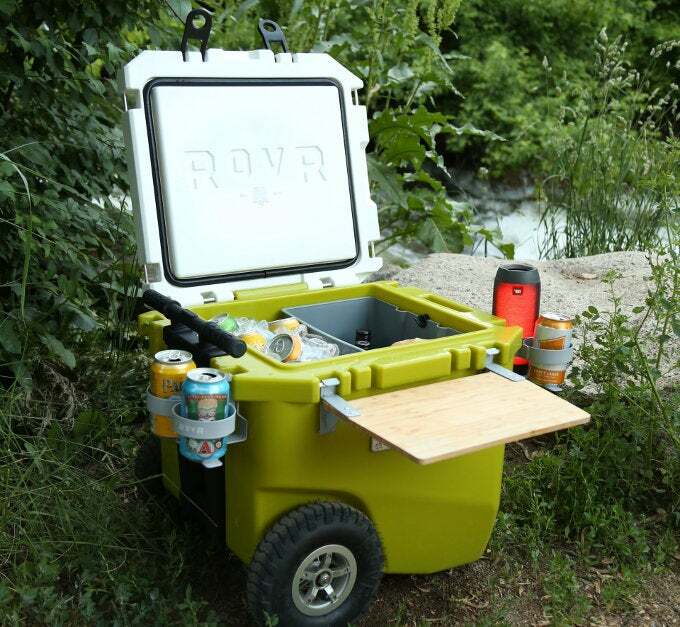 This guide to 2019 Music Festivals is brought to you by RovR, the makers of rugged rolling ice chests that are designed to go where the fun is. With all-terrain tires, roomy capacity, fun colors, and lots of add-on accessories, you can customize your RovR for all your summer adventures. Pitching your tent at a music festival is an entirely different experience than camping in the woods. The peaceful bird songs in the morning are replaced by stadium speakers and rowdy crowds. While you might lose some solitude, you’ll gain the experience of rocking out with thousands of new friends. That doesn’t mean you can’t enjoy some peace and quiet when you return to your tent at night, however—camping at campgrounds in the area of the festival is just as practical as staying on-site for many festivals. 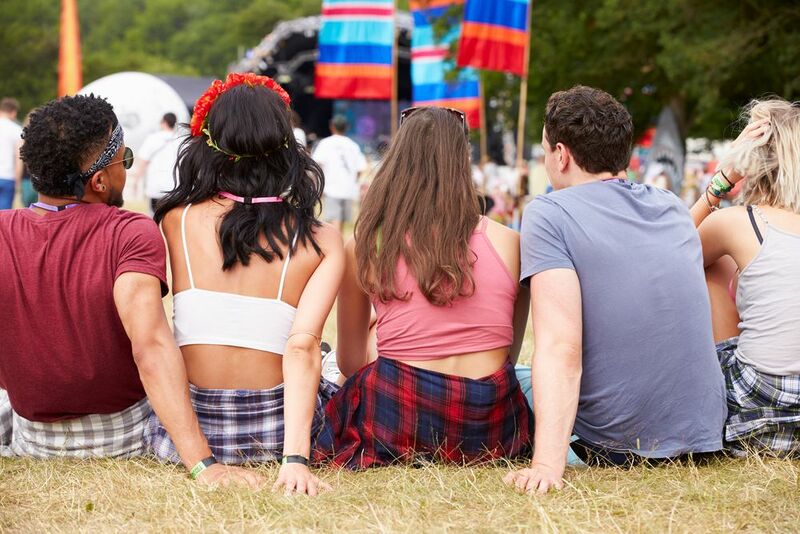 Whether you’re looking for a rambunctious time camping or something a little tuned-down, we’re here to tell you that camping at music festivals offers something for everyone. With the season of 2019 music festivals almost upon us, this year promises to be packed with incredible bands, unbelievable art, fresh fashions, and all the fun of a classic summer camp-out turned up to eleven. From the tip of Florida to the middle of the Midwest, from San Francisco’s Golden Gate Park to Randall’s Island in the middle of New York City, there are more music festivals than ever to choose from, and always the chance to find prime camping nearby. 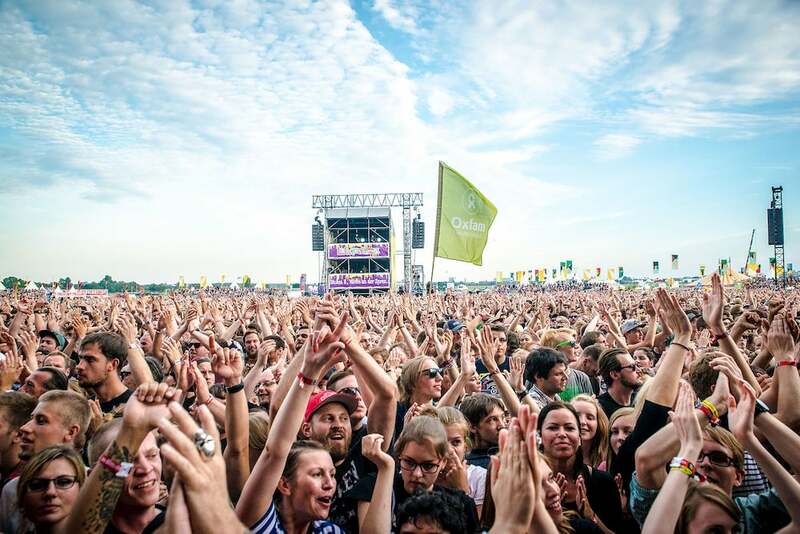 We’ve rounded up 28 of the best music festivals in 2019 to look forward to this spring, summer, and fall. While many of them involve camping out on-site (we’re looking at you, Bonnaroo), all of them are close to at least one fantastic campground where you can follow up all the righteous five-senses stimulation with a little time in nature. 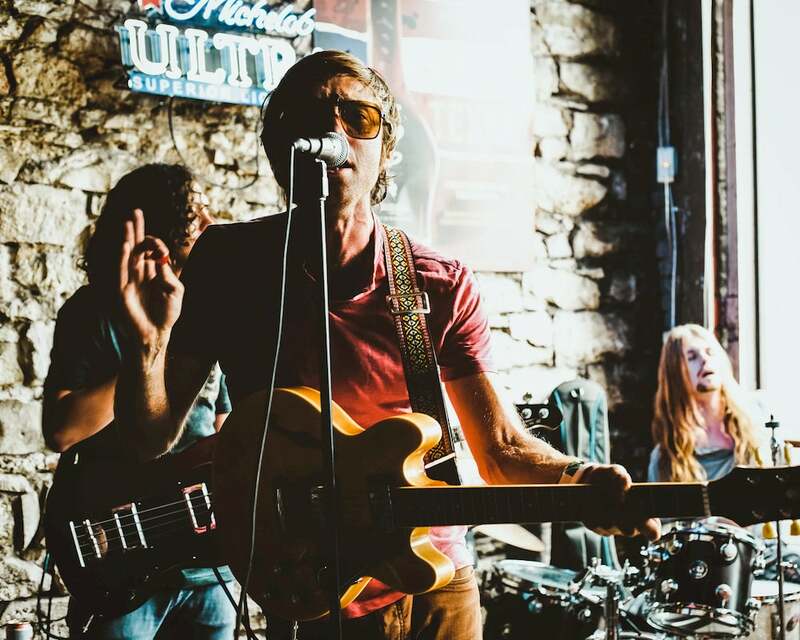 The little Austin festival that took on a life of its own, South by Southwest is the fest that helped cement Texas’ reputation as a music destination. This year, the massive lineup includes local acts like Marfa Crush, 90s throwbacks like The Rembrandts (most famous for recording the Friends theme song), rockers like Broken Social Scene, and pop acts like Japanese Breakfast—not to mention conversation starters like the Tiny Desk Family Hour. Few music festivals in 2019 will make you feel as hip. SXSW is famous for taking over Austin’s music venues rather than building stages in one central location, turning the whole city into the festival grounds. This year, though, there’s a special outdoor subset of SXSW that’s free and open to the public (with a guest pass), taking place at Austin’s beloved Lady Bird Lake. If that gives you a taste for exploring more of the great outdoors in Texas, head to one of the many parks and campgrounds near Austin. McKinney Park is one of the most popular state parks in the area, thanks to its close proximity to the city, but camping there is understandably already booked up ahead of SXSW. You can, however, head to the lesser known but still accessible parks in the region. Pecan Grove RV Park, for example, only takes reservations over the phone, which might mean spots are still available. Lockhart State Park is close by and has just a few spots left for individual nights. Emma Long City Park is a dog-friendly oasis on the lake just 30 minutes from downtown Austin, one of the best bets for last-minute SXSW bookings. With a hip lineup of indie darlings like Liz Phair, Cherry Glazer, Black Moth Super Rainbow, Low, and Built to Spill, Treefort Music Festival 2019 is already pretty cool. If you want to make it even cooler, however, you can skip the hotels in downtown Boise and head for nearby camping. The Boise Riverside RV Park is a lovely local spot on the Boise greenway where your rig can help you withstand the late winter/early spring chill of Idaho. They’re dog friendly, offer WiFi and laundry facilities, and bike rentals. For next year’s Treefort Fest, plan ahead and book one of the nearby Idaho City Yurts to really complete that “fort” vibe in 2020. After all, yurts are one of the coziest ways to enjoy late winter camping! This recently revamped fest has a whole new look and feel this year, as well as a new location at Virginia Key Beach Park near Miami’s bustling Midtown. Just thirty minutes away from the festival venue is Oleta River State Park, which has cabins situated in the midst of Florida’s largest urban park. You’ll have access to the 1,515-mile Florida Circumnavigational Saltwater Paddling Trail, as well as cycling paths, mountain biking trails, and beaches. 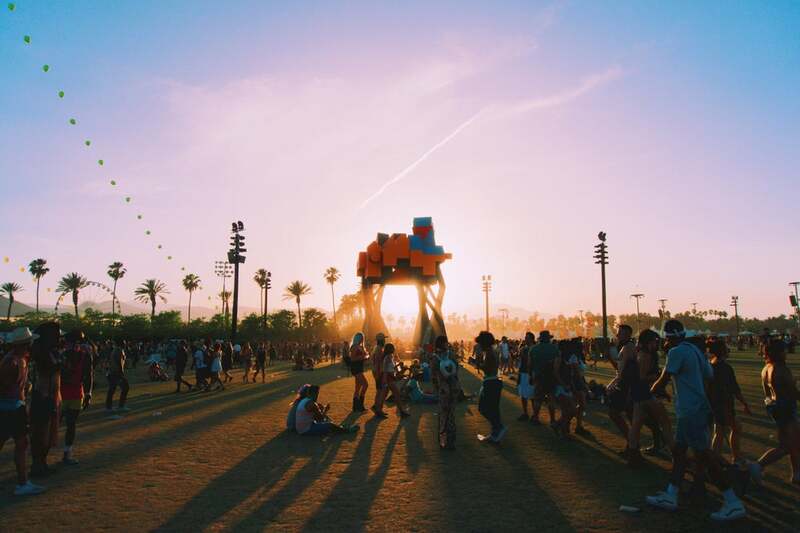 The branded event that’s become synonymous with festival culture, Coachella won’t be stepping down as the monarch of 2019 music festivals. With the royalty of pop, hip-hop, and neo-psychedelica in attendance, flower crowns galore and fresh festival fashion, this year promises to be bigger than ever. Camping at Coachella is all part of the experience, with several different options to choose from, with different amenities and degrees of luxury. 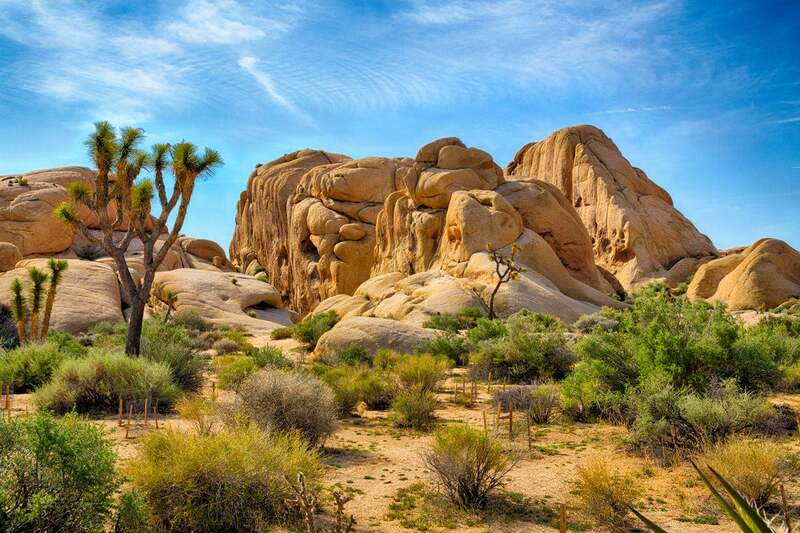 Soak up the sunshine at SoCal’s desert campgrounds that are within a glow-stick throw of not only Coachella, but other glamorous California destinations like Palm Springs and Joshua Tree. Whether you’re toting your tent along for the weekend or driving up in a tricked out RV, you can make reservations super close to Coachella proper. Indian Waters RV Resort is just three miles away, and while cottages sell out fast, tent sites are easier to snag. Shadow Hills RV Resort is another nearby venue that caters to the festival crowd, complete with epic pool parties. Palm Spring RV Resort will give you the space and amenities to relax and enjoy your spring adventure close to fun things to do after Coachella, like riding the Palm Springs Aerial Tramway to the peak of Mount San Jacinto. In case you aren’t familiar with the funny word “moog,” it’s the name for the analog synthesizer systems that became popular with recording artists like The Doors, the Monkees, Simon & Garfunkel, and the Byrds in the mid 1960s. Today, the popularity of electronic music owes a lot to the invention of the moog, a legacy celebrated each year at Moogest. Long held in Asheville, North Carolina where the Moog Music headquarters is located, it moved to Durham, North Carolina in 2016. 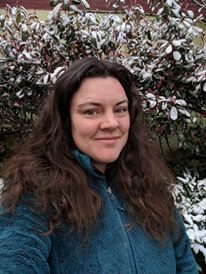 That’s good news for outdoor enthusiasts who might be familiar with Asheville’s stunning outdoor industry pedigree but aren’t as tuned into Durham’s natural wonders. The Mountains to the Sea Trail passes through Durham on its was from the relatively tall peaks of Nantahala to the outer banks of the North Carolina coast. You can camp close to both the trail and Moogfest at Eno River State Park, which features easily accessible primitive camping. During the warmer months, it’s also popular for its swimming holes and a spot where the locals like to go cliff jumping. 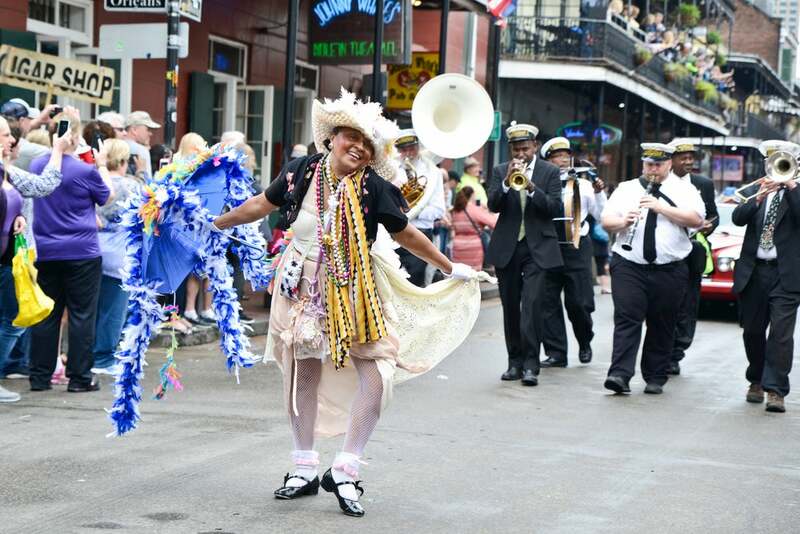 The Big Easy is known for a few things: Mardi Gras, Bourbon Street, cajun cooking, and New Orleans Jazz Fest. No city knows how to party quite like Nola, a fact proved one spring day in 1970. Gospel great Mahalia Jackson and jazz giant Duke Ellington encountered one of New Orleans’ iconic brass bands on the street before they were slated to perform, leading to an improvised musical moment that cemented the first Jazz Fest as one of the biggest events on the city’s packed calendar, not to mention the 2019 music festivals circuit! Ever since, some of the greatest musicians in the world have graced the stage and streets at Jazz Fest, and given residents and visitors alike a reason to revel in both music and the city’s history. Camp ten minutes from the French Quarter and Fair Grounds Race Course at Bayou Segnette State Park. All the sites have full hookups, and there’s free laundry facilities on site. And, despite its proximity to Nola proper, you’ll be sure to see plenty of wildlife—this is a bayou, after all. The six-year-old Shaky Knees Music Festival has come a long ways since its early days at the very downtown venue of Atlanta Station. Now, it’s one of the numerous 2019 music festivals providing the south with a killer lineup of music. This year, the show is set in the far more bucolic Central Park in Atlanta, and is bringing strong headliners including Beck, Tame Impala, Incubus, and Cage the Elephant. If the festival’s woody setting isn’t enough nature for you, skip the Little Five Points Airbnb and head to Stone Mountain Campground for a post-concert campout. Just thirty minutes outside ATL, you’ll have fantastic views outside the city and great hiking opportunities up this park’s titular rockface. Stone Mountain also is home to a lot of history, and unexpectedly diverse ecosystems— like teeny tiny Stone Mountain Fairy Shrimp that live in the occasional puddles dotting the mountain side. 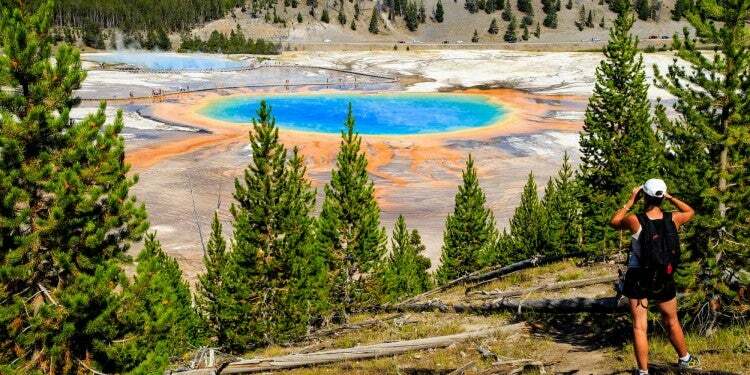 They reproduce when fresh water is present, and go dormant when the pools dry up. The campground at Stone Mountain is well organized and regulated, which keeps the stay pleasant even with a large number of campsites. There are RV sites, tent sites, yurts, safari tents for a glamping vibe, and even RV rentals. There are tons of amenities, too, from the basic fire rings and grills at each campsite to showers, bathrooms, laundry facilities, WiFi, a general store, a swimming pool, sand volleyball court, children’s playground, and more. This gathering is a little different from 2019 music festivals in that is expressly family-friendly, and in that Joshua Tree Music Festival was actually inspired by the Joshua Tree Lake Campground that hosts it. Year round, the campground is full of art installations and a welcoming atmosphere. In May and October of every year, though, it fills with music fans and families. Your kids can learn to love the great outdoors and the festival life all in one weekend! There’s a special camping section just for parents and their little ones so you all can get a good night’s’ sleep, special kids activities, and loads of BLM land overlooking the Copper Mountains to play in. Joshua Tree Lake RV & Campground has plenty of flat and shady sites, is ten minutes from the entrance to Joshua Tree National Park proper and is fifteen minutes from some fantastic rock climbing. It’s understandable why so many events choose this campground as their setting— not only does Joshua Tree Music Festival take place here twice a year, the campground has also hosted the Burning Man-esque Bequinox fest as well as the Babes Ride Out, a feminist motorcycle and dirt bike festival. The big, beachy festival right on the Gulf, year after year Hangout Music Fest attracts festival headliner favorites like The Lumineers, Khalid, Vampire Weekend, Cardi B, Diplo, Hozier, and Jimmy Eat World. Hangout also goes all out on fun activities to enjoy between acts, including a ferris wheel, yoga, beach volleyball, a tropical spa, Puppy Kissing Booth, and even a roller disco. It’s not hard to find good music festivals in 2019, but it is a trick to find one that doubles as a beach vacation. While there is no camping at Hangout Fest, it’s just down the shore from Gulf State Park Campground, a massive 500 site outdoor destination with tons of amenities. There are tennis/pickleball courts, a swimming pool, nature center, 25 miles of trails, and a short walk to the sparkling white sand beaches the Gulf is famous for. Best of all, Hangout Fest runs a shuttle from the festival site to several lodging options up and down the coast, including Gulf State Park. Another great option further down the coast is Bay Breeze RV Park, which is just a 15 minute drive from the public beach where Hangout Fest is hosted, and offers views of the bay from the campsites. You’re also close to a wildlife refuge, and Bay Breeze boasts its own private beach. None of the music festivals in 2019 on this list can claim to have The Beatles on the lineup—but if you love the Beatles, you need to head down to the Ohio River this summer. Abbey Road on the River isn’t as well known as bigger fests like Coachella, but it’s beloved by Britpop fans from all over the world. This year is extra special, since the world’s largest Beatles-inspired music festival is now celebrating 50 years since 1969, when Abbey Road was first released, when Woodstock took place, and other notable albums like The Who’s Tommy first hit turntables. Skip the big hotels booked out by 20,000 guests with Beatlemania and head to Louisville North Campground, just five minutes and a mile and a half from Big Four Station, where AROTR is hosted. There are tents and cabins, as well as both pull-thru and back-in RV sites with 20-, 30-, or 50-amp full hookups. There are lots of amenities, too, including a playground, camp kitchen, convenience store and gas station, propane fill-up, laundry facilities, and taxi service. For a slightly more rustic setting, however, head to Charlestown State Park, less than 30 minutes outside of Jeffersonville. There you’ll find plenty of hiking trails, bike paths, a boat ramp, waterfalls, and even the opportunity to explore the ruins of an old theme park on Rose Island. Boston is known for many things—Revolutionary War history, baked beans, the Boston Marathon, clam chowder, the Big Dig, Boston Terriers, the Charles River cycling loop. Thanks to Boston Calling Music Festival, it’s earning a reputation for hosting one of the best music festivals in 2019. 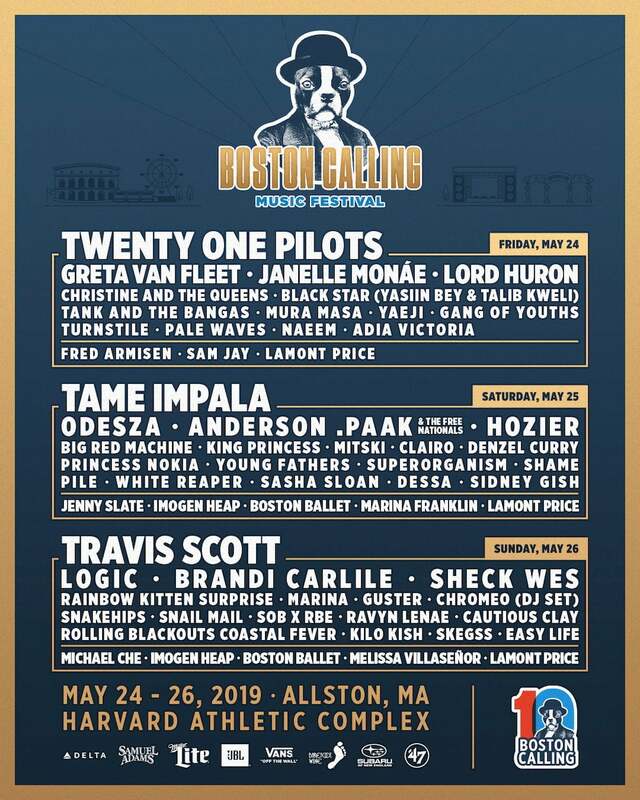 Now in its sixth year, Boston Calling is bringing Travis Scott, Greta Van Fleet, Odesza, and more to the stage at the Harvard University Athletics Complex. Twenty minutes drive and a ferry ride away from the ivied campus where the festival is taking place, you can camp on Boston’s famous Harbor Islands, full of trails to explore, kayaking, and gorgeous sunrises and sunsets. Much like the San Juan Islands in Washington, some of the islands are more accessible than others. Lovells Island, for example, involves a couple ferry rides. That said, once you arrive you’ll find everything from fishing to swimming to exploring historic ruins. If the hassle of ferries isn’t your speed or you find Harbor Islands are all booked up, head to Ponkapoag Camp. It’s close to Great Blue Hill and Houghton’s Pond Recreation Area, while still having proximity to I-93 for easy access to the city. You can explore the Massachusetts wetlands, go berry picking in the right season, and even book one of 25 cabins with wood stove if you’re worried about the chill or the mosquitos. 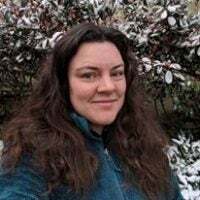 Camping here is very rustic, but the easy access to downtown Boston means you can easily stock up on water, wood, and any other supplies you need. 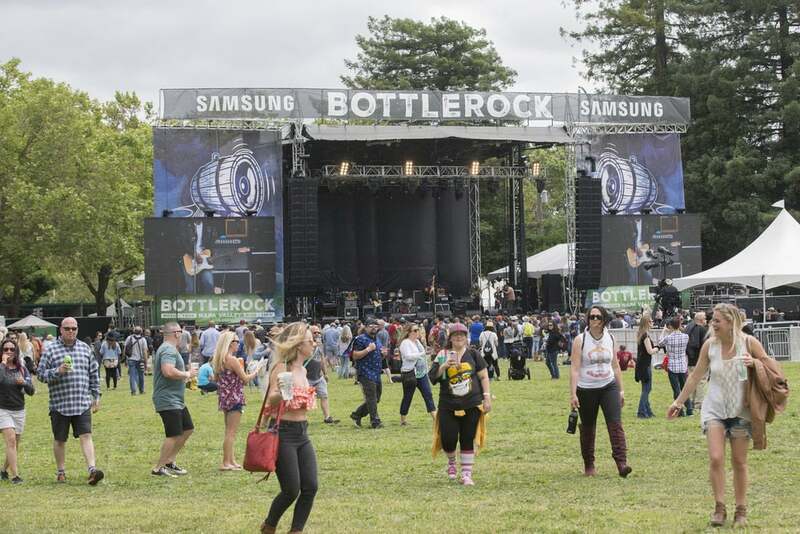 There are a lot of good things happening in Napa Valley every day, but for two days every year BottleRock turns those vibes up to eleven. In addition to incredible headliners like Neil Young, Mumford and Sons, One Republic, Pharrell Williams, Lord Huron, and Santana, the festival is jam-packed with legendary winemakers and Michelin star-worthy food vendors. There’s a silent disco, too, as well as a bourbon bar, craft beer, and the kind of cocktails you’d expect from your favorite mixologist. BottleRock organizers recommend camping at Camp Carneros at Skyline Wilderness Park. It’s convenient not only to the festival, but is some prime wine country camping near excellent Napa and Sonoma vineyards. Skyline also features a disc golf course, native plant garden, and a variety of hiking trails. Stock up on supplies at Raley’s Grocery Store, and don’t forget to bring your mountain bike to hit some sweet trails at Lake Marie and Manzanita. There is a lot of buzz around Bunbury Music Festival in Cincinnati, Ohio, thanks to organizers PromoWest Productions, who keep some of the best music venues in Columbus, Ohio and Pittsburgh, Pennsylvania popping year-round. This year, Fall Out Boy, The 1975, Run the Jewels and Girl Talk are at the top of the bill, along with Stone Temple Pilots, Dashboard Confessional, and Streetlight Manifesto. Sawyer Point Park and Yeatman’s Cove, where Bunbury Music Fest are hosted, are right on the Ohio River like AROTR, spanning a full mile full of music and happenings. They aren’t designed for camping, however, so you’ll want to mosey on to Big Bone Lick State Park just thirty minutes south. 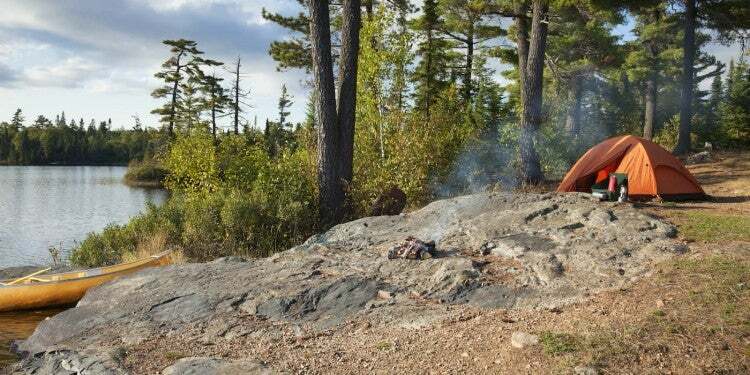 Not only will you find comfortable sites, you’ll also be camping near fossils! In addition to lots of mammoth bones, you’ll also find two permanent orienteering courses, fishing, mini-golf, and more. Of course New York City knows how to put on a killer music festival, so it’s natural that Governors Ball has become legendary on the summer fest circuit. It takes place on Randall Island, right in the middle of the city, with stunning views of that iconic skyline peaking over the stages and tents. This year Lil Wayne is headlining, along with Florence & The Machine, Major Lazer, Kacey Musgraves, King Princes, and The Strokes. You’ll also find all the delicious food carts and Instagram-ready art installations you’d expect from a city packed with star chefs and world-renowned creatives. The Big Apple doesn’t exactly bring camping to mind, and that’s no different during Governor’s Ball, which lists hotels on its accommodations page but not campsites. 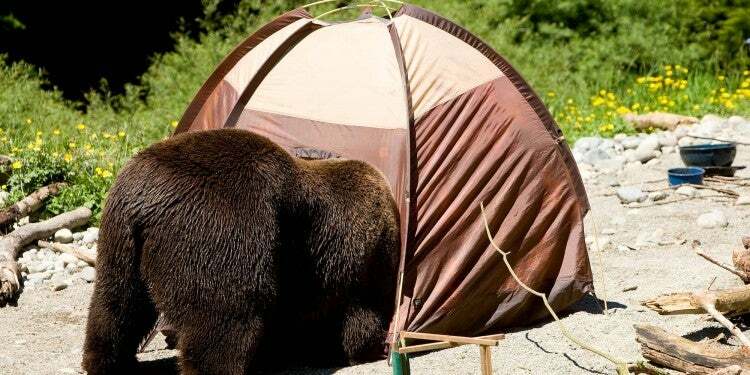 If you want to bring your tent and sleeping bag along for the ride, however, don’t despair. There are some great NYC camping options that you can enjoy before, during, and after Governor’s Ball. You can make like many a New Yorker and head to Fire Island to beat the heat and relax. While small communities and cottages dot Fire Island, you can still find campgrounds like Watch Hills that blend oceanfront views with proximity to the shops, restaurants, and pubs you’d expect in the New York metro area. Or you can pull your RV up to the convenient Liberty Harbor Marina and RV Park just across from Battery Park in New Jersey— it’s even dog friendly! Camp Gateway in Brooklyn is another little unexpected oasis complete with camp store and easy access to the Statue of Liberty. One of the 2019 music festivals most synonymous with camping, and responsible for anyone outside of Tennessee knowing about the tiny town of Manchester, Bonnaroo has done a lot to expand modern festival culture. Halfway in between the “Music City” and artsy, outdoorsy Chattanooga, Tennessee, Manchester’s population is usually just 10,000, but grows to 100,000 every June. 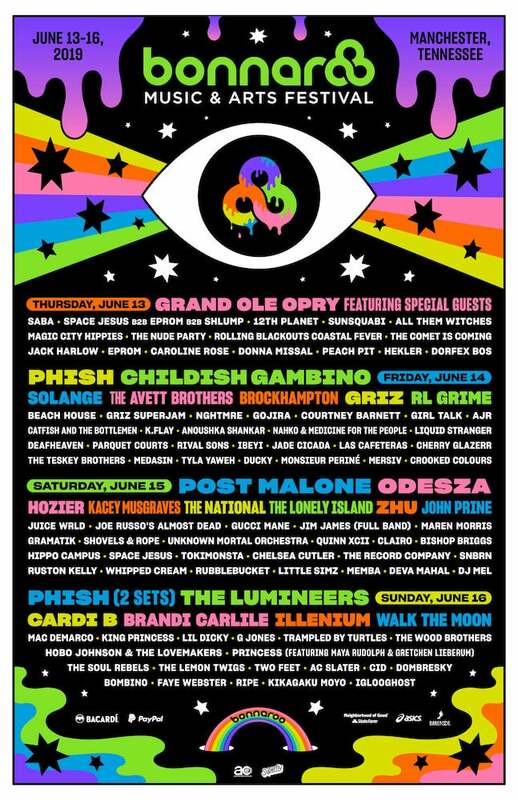 This year, Bonnaroo is staying true to its blend of genres and hippie soul with Phish, Solange, The Avett Brothers, Post Malone, The National, John Prine, the Lumineers, Cardi B, and Brandi Carlile, along with a long, long list of acts ranging from Gucci Mane to Trampled by Turtles. And between every act, of course, you can make new friends on The Farm, as the grounds where Bonnaroo takes place are affectionately known. Camping is baked into the Bonnaroo experience, so you don’t need any recommendations from us. But if you want to see more of beautiful Tennessee while you’re in the area, head to nearby Old Stone Fort State Park, where there are rich historic sites, biking and hiking trails, and splendid waterfalls. For the past seven years, Firefly Music Festival has lit up Dover, Delaware with acts like Panic at the Disco, Courtney Barnett, Tyler, the Creator, Zedd, and Vampire Weekend. Like a few other 2019 music festivals, camping is baked into the Firefly experience with The Great Atlantic Campout, an “immersive camping experience” that takes place at The Woodlands, aka Firefly’s venue and the equivalent of Bonnaroo’s farm. The big difference, however, is the sheer number of camping options, which are a lodging add on to your festival ticket. You can choose from basic roll-your-own tent sites to “pre-set campsites” that take care of the gear for you to varying degrees of luxury. The Carefree Camping option includes a custom, collectible Firefly tent and accessories, while other options involve ever larger, more complex setups with beds, glamping accoutrements, luxury linens, and even air conditioning. The Infield Glamping option even takes advantage of the festival’s proximity to the Dover International Speedway, where it’s usually fans of NASCAR camping on the infield. Afterwards, head to Blackbird State Forest for a more natural camping experience. The sites there are free and fairly primitive, with tent sites, porta potties, and a water pump. This is a popular area for deer hunters, horseback riders, and mushroom foragers, but not so ideal for RVs. Instead kick back by the campfire, relax, and reminisce about all the music you just saw at Firefly. If you’re searching for a psychedelic experience from this list of 2019 music festivals, look no further than Electric Forest Festival on the eastern edge of Michigan. You can tell how popular this is from the shuttles that connect the Rothbury venue, not to local hotels, but to airports in Chicago, Detroit, and even New York City. Electric Forest music festival 2019 is already sold out, including its array of camping options from tent sites to camping rentals to enchanted cabins, and RV spots. Never fear, however. Keep the good vibes going after the fest with a trip to Ludington State Park Beach. It’s about 45 minutes away, but right by the shores of both Lake Michigan and Hamlin Lake. Ludington is a paddler’s paradise, with fun hikes that weave through forests and sand dunes, and even a lighthouse. Or stick closer to the Double JJ resort where Electric Forest Fest is held and pay a visit to Meinert County Park. It’s very well appointed, especially for a county park, with free WiFi, large sites, full hookups, and a short walk to the beach. When the Founding Fathers wrote the pursuit of happiness into the U.S. constitution, clearly what they had in mind was for Americans to flock to the Sierra mountains to listen to prime jam bands on the anniversary of our country’s birth. That’s exactly what you’ll get this year at High Sierra Music Festival, with bands like Galactic, Umphrey’s McGee, St. Paul and the Broken Bones, Leftover Salmon, and Mandolin Orange. With a name like High Sierra Music Festival, it’s no surprise that camping is part of the experience. 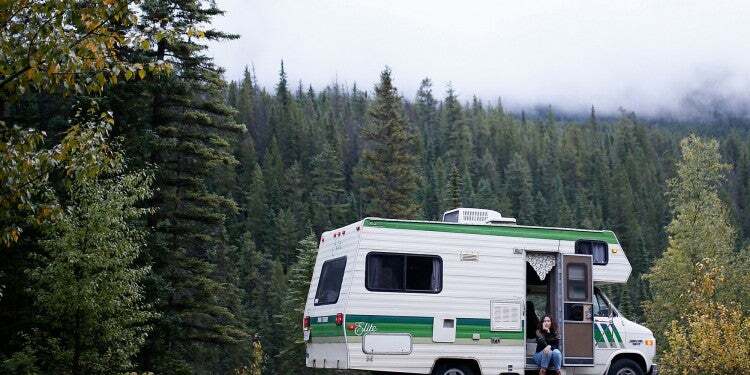 Like other 2019 music festivals that blend camping and music, there are several different tiers to choose from, including on-site tent and RV camping, complete with restrooms and showers, as well as a special family camping zone. You can also book The Show Sherpa package, where festival staff will set up cabin-style glamping tents for you equipped with chairs, a lantern, and fancy extras like free coffee, complimentary ice, and a full camp kitchen with a gas grill. There’s off-site camping options, too, serviced by 24 hour shuttles. Stick around to explore more of this corner of the west at Rock Creek Campground in the nearby Plumas National Forest. After the hustle and bustle of High Sierra, you might appreciate this comparatively small, chill campground, which has just ten sites close to Deer Creek and the titular East Branch Rock Creek. In true Norcal fashion, this is a popular spot with mountain bikers, but in the fall it’s also a destination for deer hunters. Try the Finger Board Trail, or Cleghorn Bar Trail to explore Claremont Mountain. Chicago may be known as the Second City, but between Pitchfork, Lollapalooza and bunches more, it might be number one for 2019 music festivals or any other year. This time around, HAIM, Pusha-T, Sky Ferreira, Low, Belle & Sebastian, Stereolab, Kurt Vile, and Parquet Courts are blowing up the lineup at Chicago’s Union Park. The festival also showcases Chicago’s delicious food scene and a variety of local vendors. Like Governor’s Ball, camping close to the festival is a little trickier in such a big, dense city. That said, you can find urban camping in Chicago at Camp Bullfrog Lake or Camp Sullivan, but they are still about 45 minutes away from Union Park’s downtown location. You can get more of a wilderness experience just an hour away at Indiana Dunes National Park, where there are beaches on the shore of Lake Michigan, dunes and boardwalk trails to explore, clean restrooms and showers, a family-friendly atmosphere, and easy access to nearby breweries and restaurants. Lollapalooza might be the granddaddy of other 2019 music festivals; it’s now a member of the infamous 27 club, sailing into another summer of alt rock, punk, metal, pop, and hip hop after its inaugural year in 1991. Just two weeks after Pitchfork Music Fest rocks Union Park, Grant Park is ready to rumble with The Weekend, Bruno Mars, Jack White, Arctic Monkeys, Chvrches, St. Vincent, Zedd, Ll Cool J, ‎Børns and more. Don’t miss Chowtown, either, where you can down everything from Chicago-style pies to barbecue to Chinese dumplings. The same as Pitchfork Music Fest, you can camp close in at various urban campgrounds and RV parks closer in to downtown. 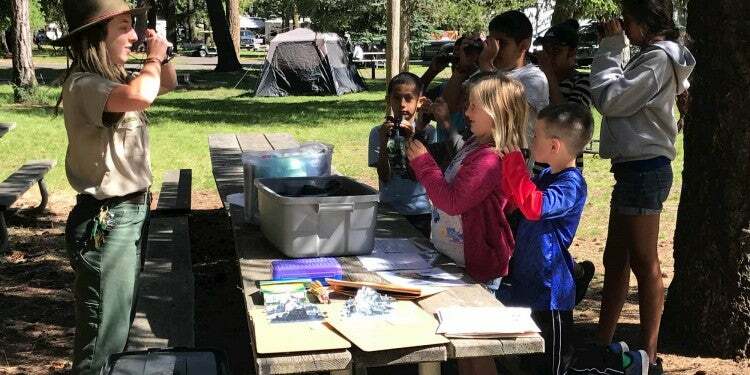 Or you can escape the city afterwards by heading to border-metro-area Chicago campgrounds like Dunewoods, where you can choose between beachy and woodsy sites close to Lake Michigan. Bring a rolling ice chest along to keep snacks and beverages from Dunewood’s camp store handy while you relax by the dunes! A model with big wheels will be able to handle a variety of terrain, too, even if your cooler is stuffed. Danceable, jammy bands like Beats Antique, Railroad Earth, Rising Appalachia, and Tipper? Check. A full-on yoga sanctuary overlooking the festival? Check. 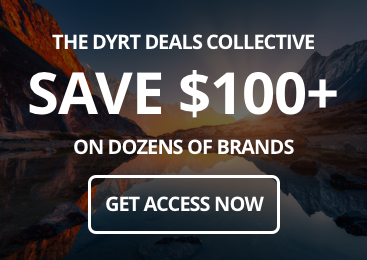 Thought leadership, storytelling, and documentaries? Check. An onsite farmers market? Check. 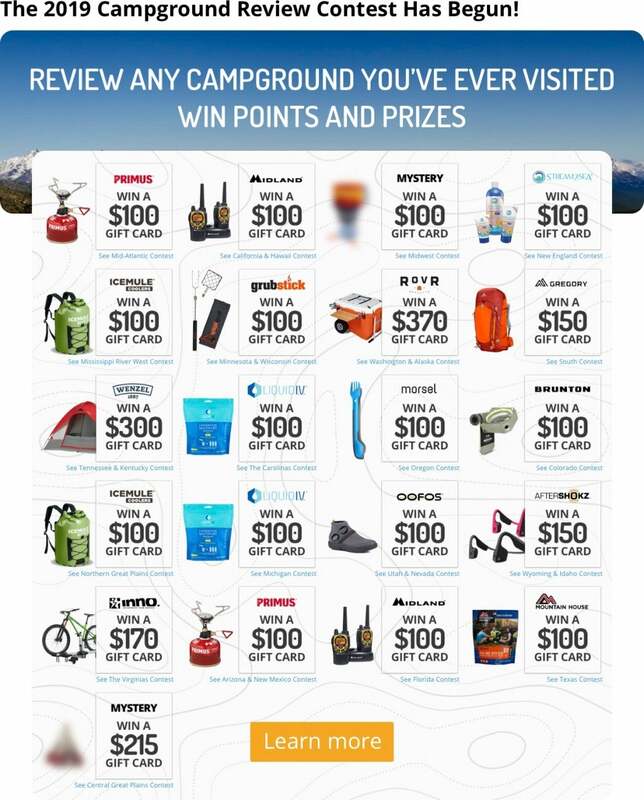 Camping options galore? Check. ARISE takes the best part of other camping, art, and other 2019 music festivals and rolls them into something quite unique in Loveland, Colorado. 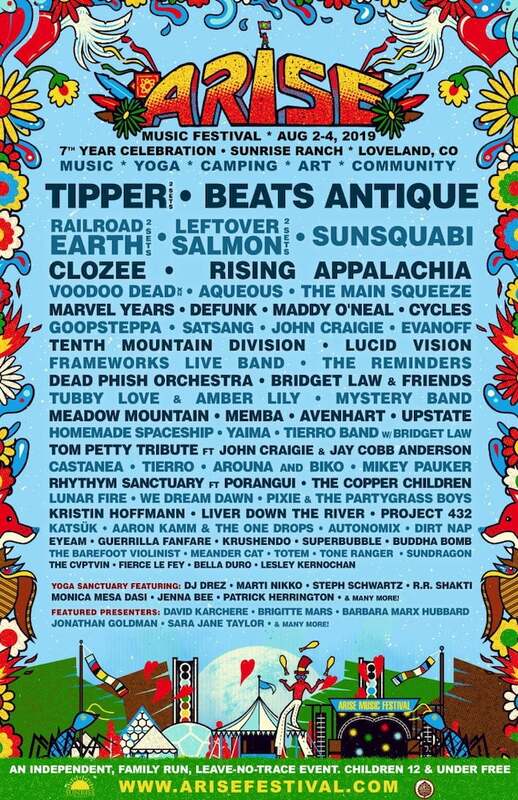 Just north of Denver and overlooking the unreal front range of the Rockies, it’s hard to beat ARISE’s mountain town location, and how well it aligns with the artsy, hippie feel of the festival. If you want to roam the region before or after, there’s no shortage of stunning campgrounds. North Fork Poudre campground is a small, first-come, first-served spot with seven sites right on Kilpecker Creek. It’s pretty primitive, with just a pit toilet for facilities, but the sites are large enough to accommodate even larger RVs. For a full-on Rocky Mountain experience, go to Moraine Park just past the Beaver Meadows entrance to Rocky Mountain National Park. You’ll find 14’ers to climb, as well as trails for hikers, equestrians, and backpackers. Check out Adams Falls, Alberta Falls, and Ouzel Falls, or or drive Trail Ridge Road, the most elevated continuous highway in the U.S. However you choose to explore, you can cozy up at the end of the day in Moraine Park’s wooded campsites—conveniently serviced by a park shuttle. Brought to you by the same team behind Bonnaroo and the short-lived Lost Lake Music Fest in Phoenix, Outside Lands is a modern nod to Golden Gate Park’s Summer of Love heyday. This August you have a lot more than the lineup of stars like Janet Jackson, Bon Iver, Future, and Janelle Monae to look forward to. Thanks to the team at Superfly, there’s also a winning blend of food, wine, beer, a curated cannabis experience called Grass Lands, comedy and improv, a SXSW-exque speaker series, outsider art, and even a special, separately ticked four-course meal from Chef Hugh Acheson. We’d tell you where to camp nearby, but the Bay Area is so packed with outdoor options we wrote a whole cornerstone guide to camping near San Francisco. For everything from campgrounds to surf spots to where to go climbing in SF’s 49 square miles, we’ve got you covered! While there’s much to be said about music festivals in 2019, there’s one festival coming back this year that started it all. It’s the 50th anniversary of the legendary Woodstock event that kickstarted American music festival culture. Back then, the lineup included fresh acts like Arlo Guthrie, Joan Baez, Canned Heat, the Grateful Dead, Creedence Clearwater Revival, Jefferson Airplane, The Who, Jimi Hendrix, and The Band. This year, the festival isn’t returning to the same little dairy farm in Bethel that was rocked by half a million people in 1969. 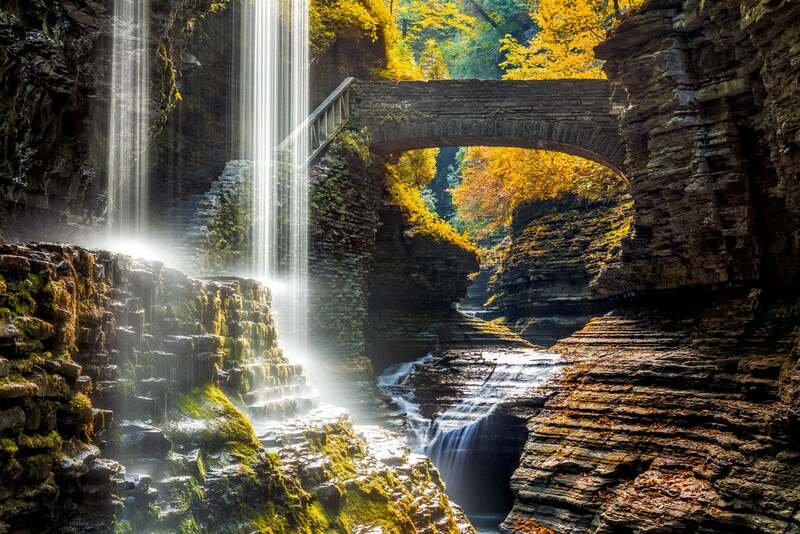 Instead, it’s taking place 150 miles away in Watkins Glen, closer to Ithaca. That puts campers and revelers in beautiful Finger Lakes country. After your Woodstock experience, keep the peace, love, and riesling flowing by camping near wineries in Watkins Glen State Park. The scenery is stunning, with fairytale stone bridges spanning waterfalls and rivers winding through delicate layers of rock. In August it will still be warm enough for swimming and canoeing, but not too hot to take advantage of the hiking trails. There are both tent and RV sites, so all you need to do is make your reservation! 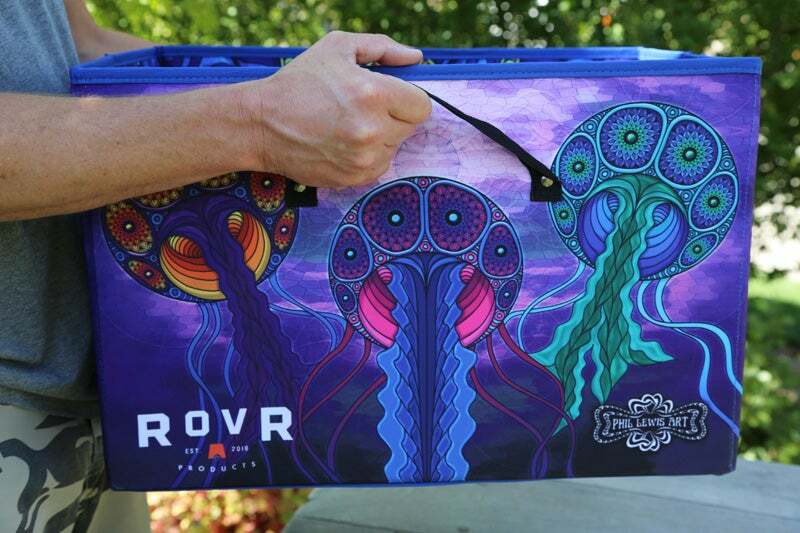 Pick up one of their rolling ice chests to carry all of your cold beverages and snacks while at the festival.